Sure, convenience is king. But, if Lear taught us anything, it's that sometimes it's not good to be king. Like if it involves destroying your kingdom's environment, or consuming far inferior products than your serfs who have an extra three minutes to spend brewing their coffee. Point being, the easiest way to make coffee isn't necessarily the best. And while K-Cup coffee is the ultimate in caffeinated convenience, for the average joe drinker it's probably worth a few more minutes to enjoy a quality beverage. Don't believe me? Here are 12 mostly serious reasons why you should consider quitting K-Cups. 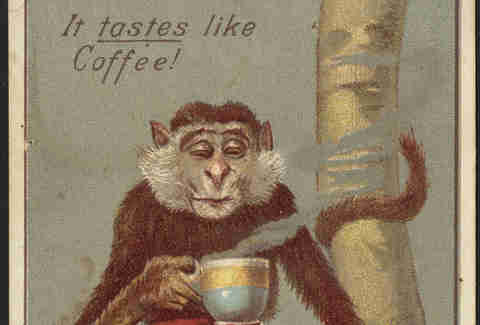 If Donkey Kong or King Kong or any other fictitious Kong could make themselves a decent cup of coffee, I bet they would. Our ability to use complex tools is what separates us from other primates, regardless of whether you work in an office or whatever. Don't take your opposable thumbs for granted! 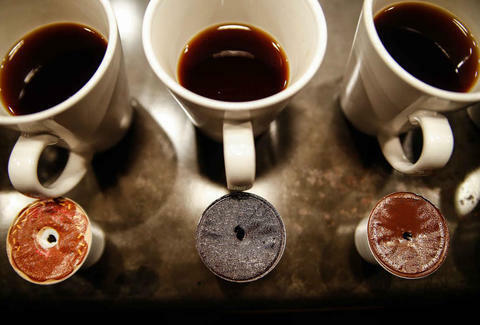 There are a few diamonds in the rough of the K-Cup marketplace, but our taste-test results were not very favorable. In 2014, enough K-Cups were produced to circle the globe 10.5 times. 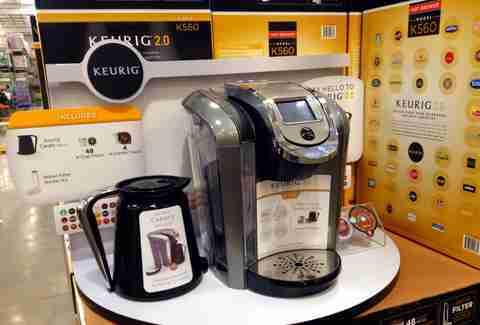 The Atlantic's definitive piece on the subject spurred Keurig into offering a more easily reusable version, but the fact remains that its standard pod won't be recyclable until 2020 -- so go ahead, keep destroying the planet for five more years. Whether you're a Mr. Coffee guy or a percolator champion, it really doesn't take that long to brew a much better cup. If you'd like to impress someone, go buy a Chemex. Sure, you can score a K-Cup from a huge coffee conglomerate no problem, but if none of our top roasters in America support this system, there's probably a good reason. 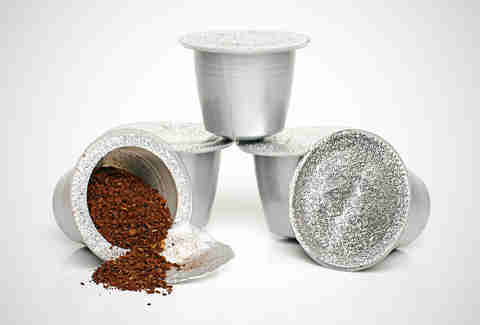 Coffee is one of the cheapest luxuries money can buy, and one of the great levelers of wealth. You can't drink the same wine as Bill Gates, but you can drink the same coffee. That Atlantic article estimates you're spending roughly $40 per pound of low-grade podded coffee, whereas even the most expensive specialty coffees top out around $25 per pound. Coffee is one of the easiest products to buy from local suppliers, but your neighborhood roaster isn't likely to offer a pod option. 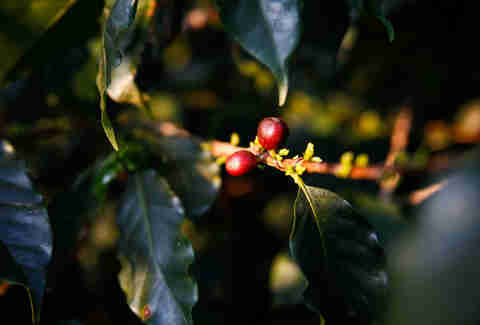 Coffee is a plant grown in tropical climates, generally harvested by hand, meticulously processed, transported halfway around the world, and roasted to a precise set of parameters that someone has dedicated their life to perfecting. With pods, you're not even seeing the actual grounds, let alone beans -- essentially hiding all the hard work that leads to your cup. We're not preaching churning your own butter here, but to keep with the farming metaphors, you reap what you sow. 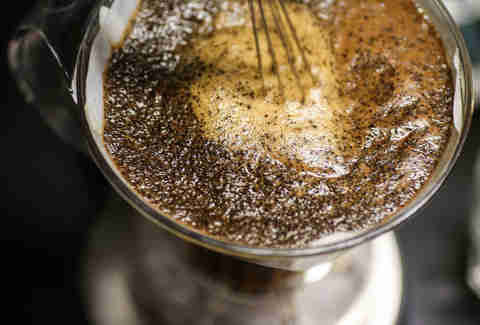 You'll have a better appreciation for your morning cup if you try a pour-over, or even just a regular drip machine. The billowing steam of boiling water, smell of freshly ground beans, and the simple pleasure of marrying the two with slowly poured concentric circles that cause the grounds to bloom like the dweeb in a high school romantic comedy -- you lose these delightful elements when you become a coffee robot. Office efficiency is one of the main selling points of Keurig machines, but office inefficiency was always the point of the coffee break. By being more time-efficient, your overlords win. Dan Gentile is a staff writer on Thrillist's national food and drink team. He loves his workplace overlords! Follow him to very efficient remote working at @Dannosphere.